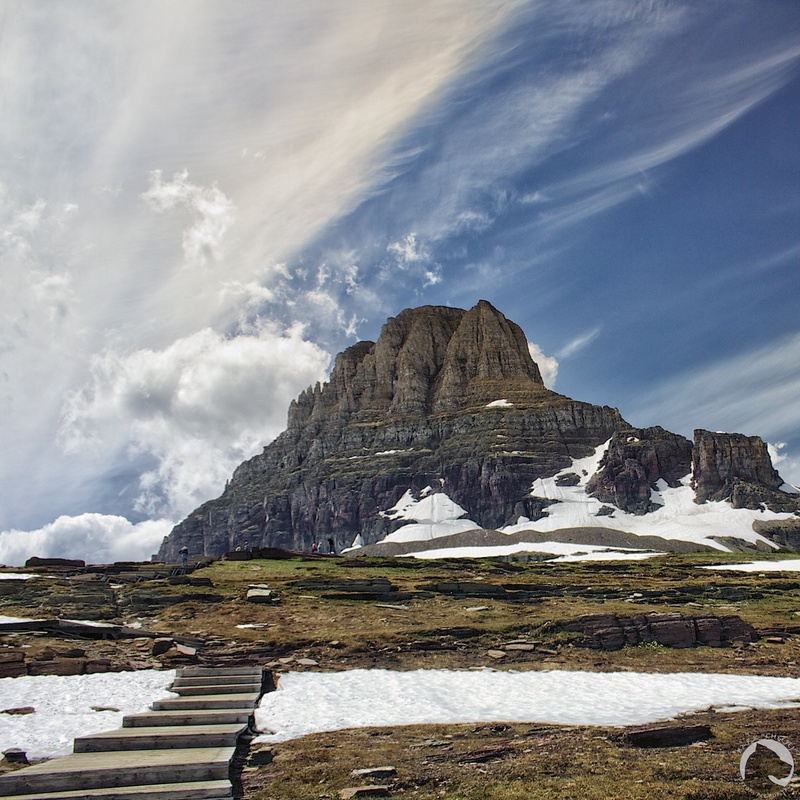 Waterton-Glacier gets 2 separate paw ratings, a and a . The reason for the two ratings is the uniqueness of the park spanning 2 countries and each country having its own regulations. 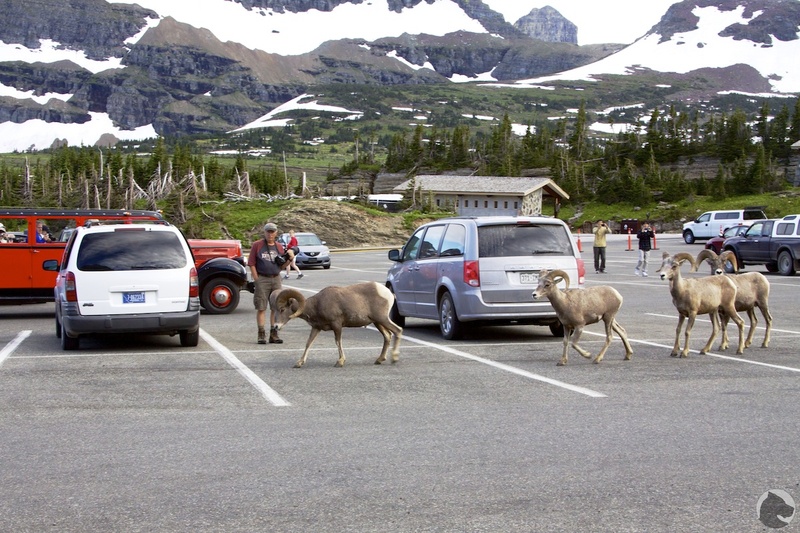 The Glacier NP side here in the US gets the common 1-paw, pets are allowed on paved or developed areas, in front-country campgrounds and picnic areas as well as in boats where motorized craft are allowed but not on any trails. In Waterton Lakes NP on the Canada side, leashed pets are allowed on all 120 miles of trails giving it a 4-paw rating. 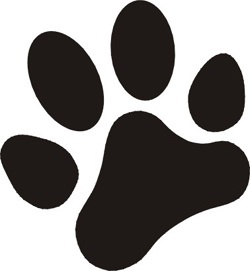 Wildlife can be commonly seen and pets may disturb or be disturbed by this. Our Danes were in the van as this herd of sheep walked by and people in the red bus were filming the violent shaking of the van more than the sheep. 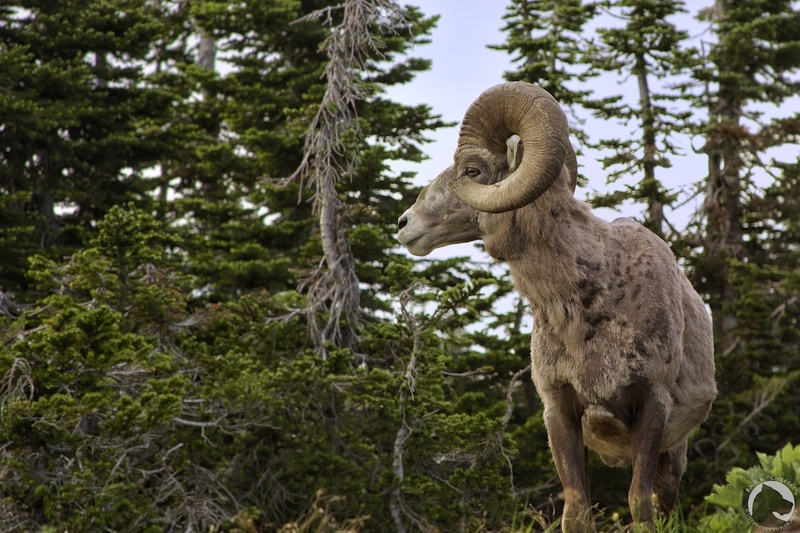 Bighorn sheep seem to have no fear. We didn’t have a chance to go over the border to Waterton Lakes but if you do want to do some hiking with your pets that is the place to go. Just make sure you have travel papers with vaccination records to avoid any trouble bringing your pets back across the border. 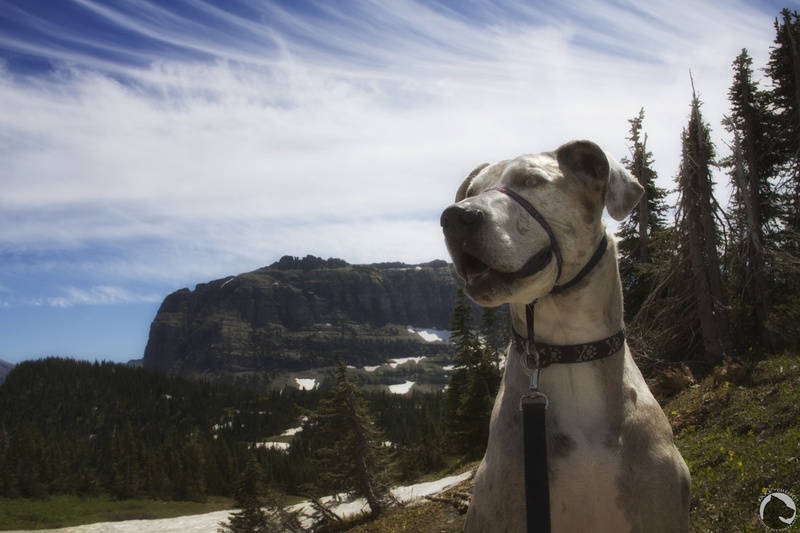 This entry was posted in Dogs and National Parks, Great Danes, pet travel and tagged Glacier National Park, Great Dane, hiking, K'Ehleyr, National Parks, pet travel, traveling, Waterton Lakes National Park. Bookmark the permalink.